AEC Software, maker of the FastTrack Schedule and Details project management software solutions, has been producing quality project management solutions since the company’s founding in 1985. AEC’s FastTrack Schedule and Details software solutions plan, track, and manage projects for companies of all sizes in a wide array of industries. Unlike many project planning software developers who build solutions targeted at a specific industry or phase of business operations, AEC Software’s FastTrack Schedule and Details project management solutions are designed to fit a wide variety of business and industry needs. This wide-targeted approach has helped AEC Software build a large and varied client base. AEC Software is best known for its Fast Track scheduling software, which is used to easily and efficiently manage projects. The best project management software is effective in more ways than one. It needs to integrate concurrent scheduling timelines and ensure that overlap is automatically communicated to relevant project contributors and stakeholders. It should allow streamlined, collaborative communication, and promote goals and goal tracking for individuals and groups. AEC Software knows that project tracking software is a part of every management project. It uses comprehensive business software solutions to serve all of these needs in a way that makes sense. 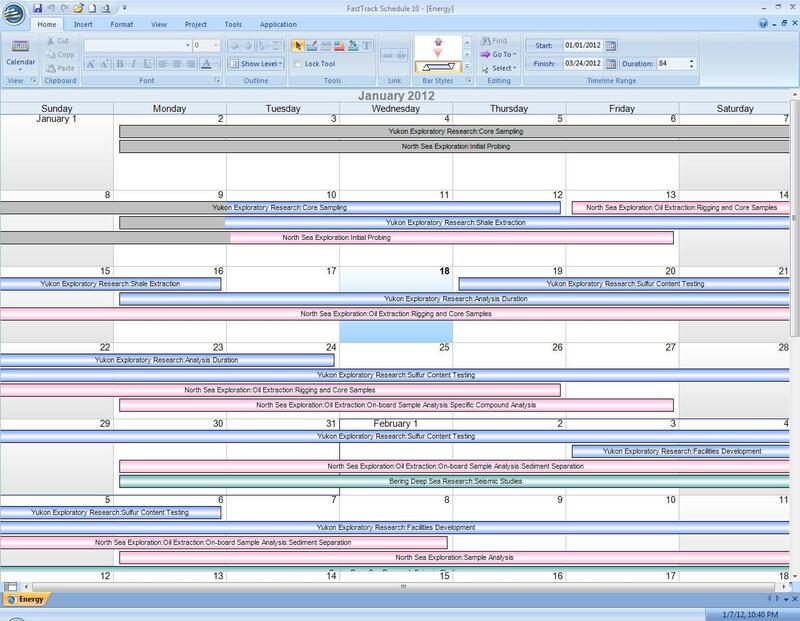 Schedules are classic, reliable methods to track day-to-day progress; FastTrack Schedule makes them eye-catching and informative and puts them at the center of its interface. FastTrack Schedule and Details can even show the full impact of a project schedule change before one is made, allowing for “what-if” evaluations and distribution of relevant information to all affected and interested parties. This capability is vital to project managers who value flexibility and want to know how to cope with changing project circumstances. AEC Software’s FastTrack Schedule and Details are powerful, effective project management software solutions for companies large and small. AEC Software and its FastTrack Schedule and Details software solutions have earned awards and accolades in several industry-specific and technology publications. Clients of AEC Software include, Starz Animation Studios, San Francisco State University, The Armbruster Company, and G+A Electramedia. Review more of the top Project Management solutions with our SmartAdvisor. Learn everything you need to know about FastTrack Schedule. Our experts will reach out to you shortly.